Abstract and impressionist painter from Augusta, GA who draws inspiration from color, southern landscapes, and the human body. Fill out the form below with details and information about your custom piece. * COMMISSIONS REQUIRE A $500 MINIMUM. * Laura will make all other stylistic and aesthetic decisions based on her usual process. While she does not paint replicas, you may send photographs of desired composition for inspiration to lauradukefineart@gmail.com. Once this has been signed and paid we will add you to our calendar. We only take a limited number of commission orders a month so be sure to contact us for an estimated start date if time is a constraint! 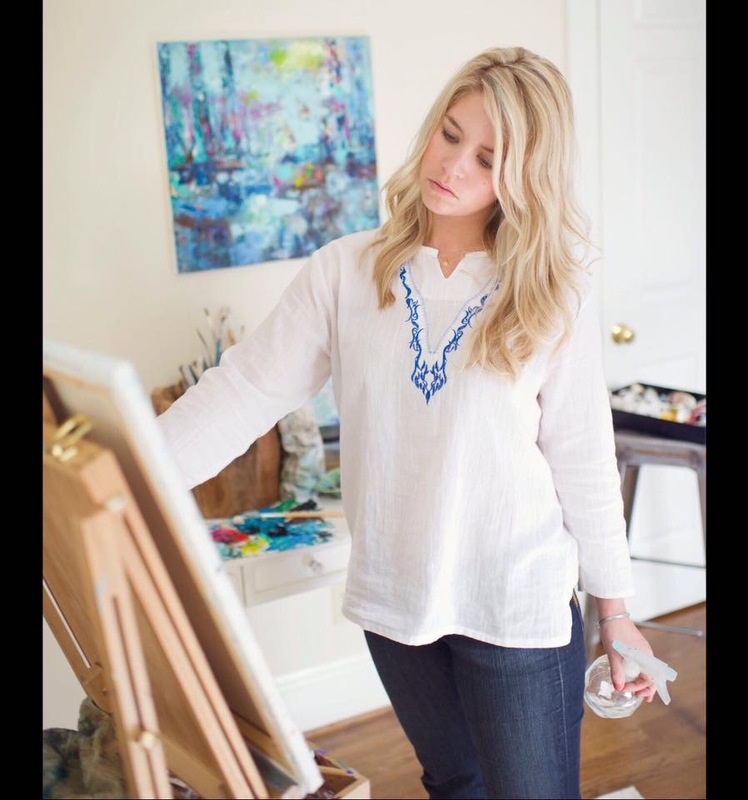 Laura will work on the piece and upon completion, we will send you photos of your lovely custom painting or you are welcome to come see it in person at the studio! We will consider, but do not guarantee, edits since the piece is first and foremost a unique abstract painting made in Laura's ever-changing aesthetic and style. However, if you decide the piece does not work for you, you are not committed to purchase. At this point, you may use the non-refundable 50% deposit as a store credit for our online shop! We will email you an invoice that you can pay online via Paypal or credit card! 50% deposit will be due upon agreement, and final 50% payment will be due after approval, before delivery. Note: If you live in Georgia sales tax will be added. Shipping will be billed upon receipt via online invoice, or you are welcome to pick up the painting if you are local. Please note that all paintings over 36x36" will be shipped rolled in a tube along with stretcher bars for re-stretching. All sales are final. 100% refund if item(s) arrive damaged, otherwise no returns.